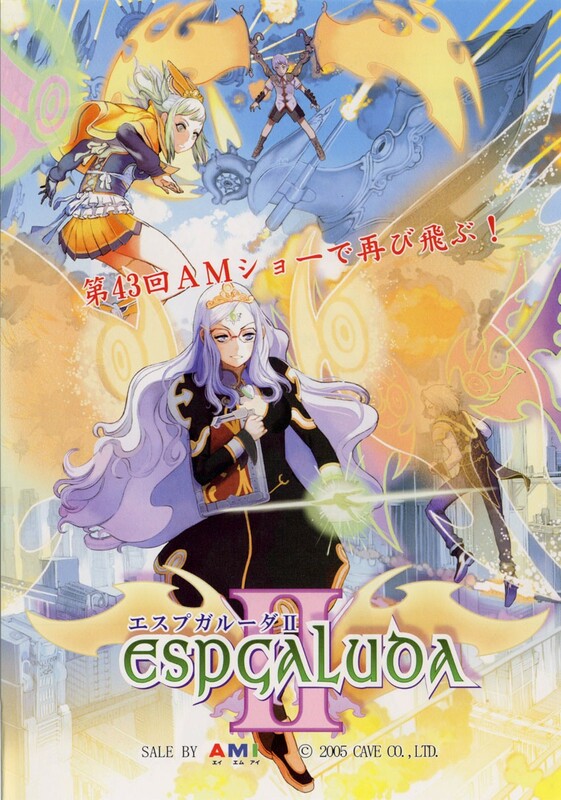 Espgaluda II (エスプガルーダII) is a manic shooter by Cave, sequel to Espgaluda. 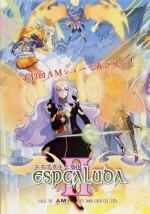 An Xbox 360 release, titled Espgaluda II Black Label, was released on February 25, 2010 in Japan. The game takes place in a fictional land called Soma, three years after a massive war known as the Great Shinra War devastated the land and killed most of its plantlife. Humanity is forced to pull their efforts together for the sake of survival and reforestation. Using new found technology, an alchemist named Hiodoshi spearheaded a project called Project Espgaluda, which gathered youths and used them as experimental test subjects for artificial armored wings. They were then called Galuda, named after the mythical bird of legend. Ageha and Tateha were two of the subjects who escaped during the project. At the end of Espgaluda, they were reunited with their mother and lived peacefully after going into hiding. Espgaluda II begins when they are discovered.